AMC's award winning series "Mad Men" has really helped to increase the popularity of vintage style and bring retro inspired fashion to the main stream with collections from Banana Republic, Estee Lauder, and more. Are you loving the vintage trend too? 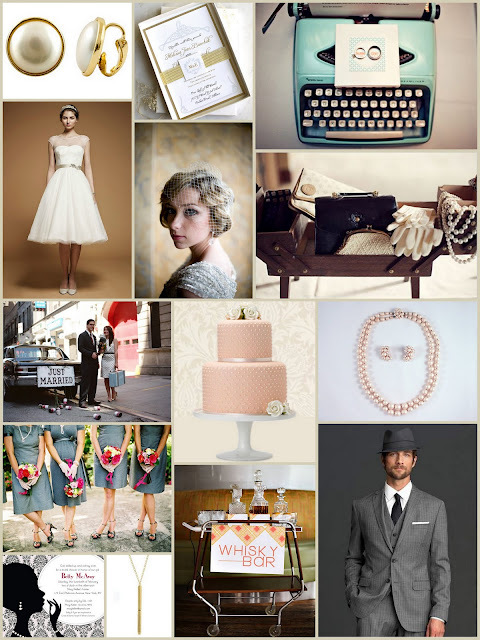 Bring on the nostalgia and turn your wedding into a Mad Men themed event. Grab some pearls, white gloves, skinny ties, a typewriter, and an Old Fashioned or two and get ready to party like it's 1965.